Looking for a holiday in Aberdovey for larger groups or families? 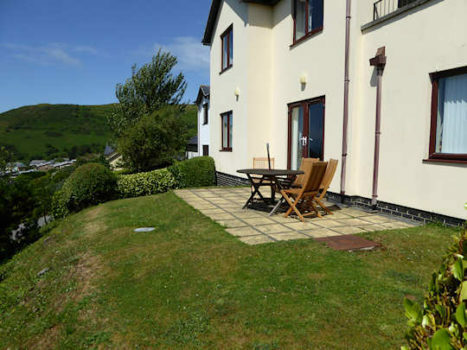 Take a look at Seascape View…..
Seascape View is a Large Ground Floor Visit Wales 4* Graded, Self Catering Property with 3 bedrooms. 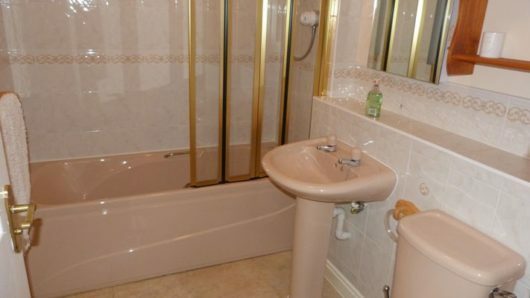 The master bedroom has amazing sea views and boasts its own en-suite with bath and shower over , along with hand wash basin and WC. 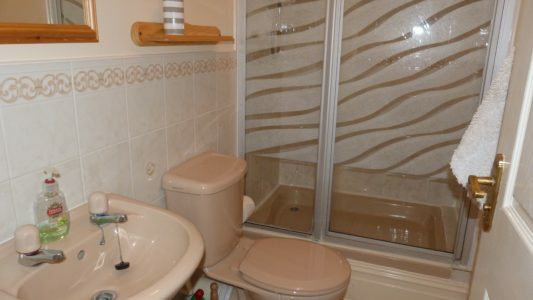 There is a second double bedroom and also a third twin bedroom and a second bathroom which has walk in shower, wash hand basin and WC. 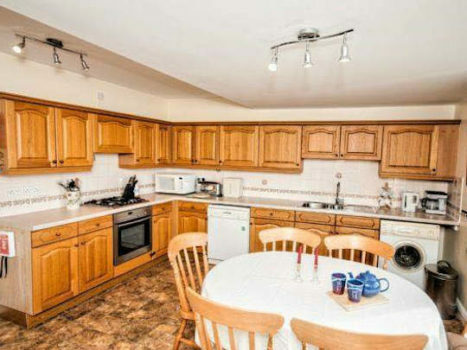 A large very well equipped kitchen, with large upright fridge and separate upright freezer, dishwasher and washing machine and an extensive range of crockery and cooking utensils. The large dining table in the kitchen seats 6 with ease, and is the perfect place for everyone to dine together whilst enjoying the fabulous Sea and Estuary Views! 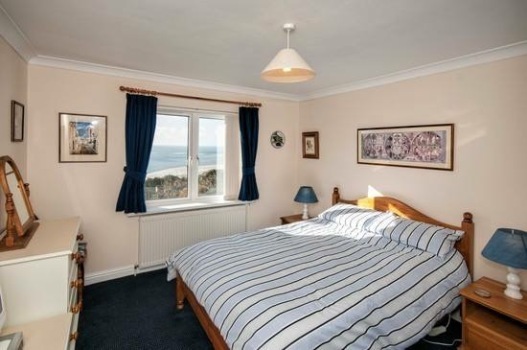 Seascape View – A real home from home according to past guests!! 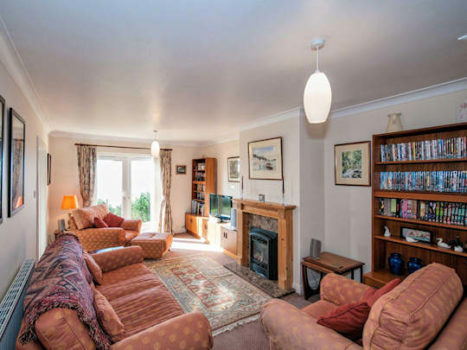 The family lounge area is a great place to relax and unwind watching TV or a favourite DVD, relax with a book, or even play some family games, all are thoughtfully provided by the owners for the guests use at Seascape View in Aberdovey. The outside terrace provides yet another area to dine al-fresco, or simply sit and drink in those views…. 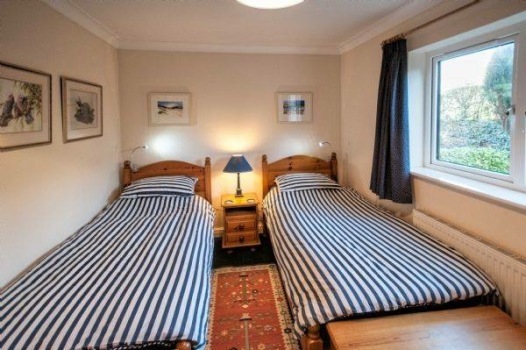 Pet Friendly, Seascape View can possibly take 2 well behaved dogs in addition to 6 guests. 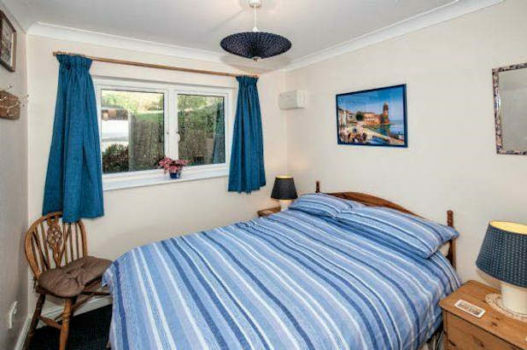 Bed Linen, GCH, Electricity, One Car Parking Permit for use on the Beach Car Park and free Wi-Fi included. Parking on the roadside outside the property is never an issue. 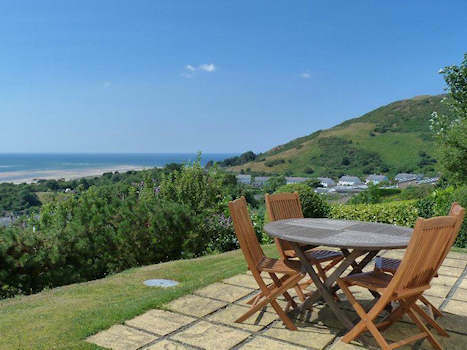 What a great place to to stay in Aberdovey….